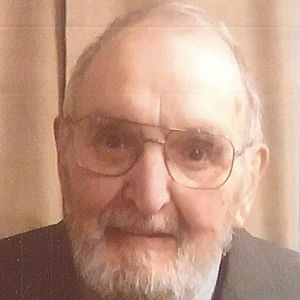 Louis A. Fiorucci, Sr, age 88, of Rio Grande, NJ, passed away peacefully on Sunday, March 24, 2019 at Cape Regional Medical Center, surrounded by his loving family. He was born on November 30, 1930, in Philadelphia, PA to the late Alfonso Fiorucci, Sr., and Louise Carpinella Fiorucci. Upon graduating Germantown High School in 1947, he enlisted in the U.S. Navy. He served from 1947 to 1951, becoming an electrician's mate on the U.S.S. Tarawa. After his service in the Navy, he attended school to further his skills as an electrician. It was at this time in the 1950s, he moved to Avalon, NJ. There he became active with the Avalon Volunteer Fire Department, worked a while for the Borough of Avalon, and for several electrical contractors. He also met the love of his life, Virginia Grace Van Leer, to whom he was happily married for over 50 years until her passing in 2013. Lou would later work for Scott Paper Company until his retirement. Lou could be found frequenting the numerous dollar stores and bulk warehouse stores stocking up for the apocalypse or just anything that he "could use some day". He became involved making ceramic and plaster of Paris items and crafts that he would donate to charities or give as gifts to friends and family. He enjoyed people and would attend the various dinner theatres that were playing at the time with his wife and friends. He would also spend his summers working part time at the Beachcomber Motel for many years. A football fan in general, Lou would enjoy watching a game on television, no matter who was playing, though he did have a strong affection for the hometown Philadelphia Eagles. He got the most enjoyment however, from being a husband, father, grandfather, and uncle. From loading the grandchildren into the wagon for a ride up to Carol's Custard, slipping any child visiting with all the candy they could handle, practical jokes on visiting cousins and friends, or just dispensing some fatherly advice or wisdom, he will be missed by many. Lou is survived by his children, son, Louis, Jr., and wife Gloria, of New Castle, DE; son, Michael J. and his wife Merideth, of Cape May Court House, NJ; daughter, Virginia G. Westerland and her husband, Wayne, of Rio Grande, NJ; son, Matthew M., and his wife, Jennifer, of Rio Grande, NJ; grandchildren, Louis, Nicole, Michaela and her husband, Tyler, Wayne, Drew, Emma, and Mason; brothers, Alfonso Fiorucci, Jr., and his wife Dianna, of Louisville, KY and Albert Fiorucci, of Cape May Court House, NJ; sisters, Josephine Pace, of Philadelphia, PA, Connie Lott and her husband, Don, of Glenside, PA, and Maryanne Ryder, and her husband, Howard, of Abingdon, PA; and numerous nieces, nephews, cousins, and friends who spent time at the house and were treated with warmth and welcomed as if they were his own. In addition to his parents, he is preceded in death by his wife of 54 years, Virginia Grace Van Leer Fiorucci, and several brothers and sisters in law, and several nieces and nephews. So very sorry for your loss. We hope that loving memories will comfort the family at this time. Grandpop - you are the definition of love. You touched so many lives and brought joy and love to all who came into your path. I know you are in Heaven watching over us but it still hurts to not have you within our midst. I am so grateful for the love you always gave me and my children. Our memories of you will help to keep you alive. Oh Dad miss miss you so much already cody love you and miss you he just want to be in your room and sleep on your blanket . I am very sorry for the loss of your Dad, Brother, and Uncle Louie. Prayers and thoughts are with you and your family.